Last October, we had the 100 year flood. This October, we have Hurricane Matthew. What does that mean for Myrtle Beach golf? We know that a lot of you have called to check on various courses and find out what the damage is and how that will affect your Myrtle Beach Golf Package. If your Myrtle Beach golf package is during the month of October (when the weather is beautiful, by the way……) you may want to check with us before you head this way, as with the wind and rain, a few courses are still closed due to flooding and trees being down. 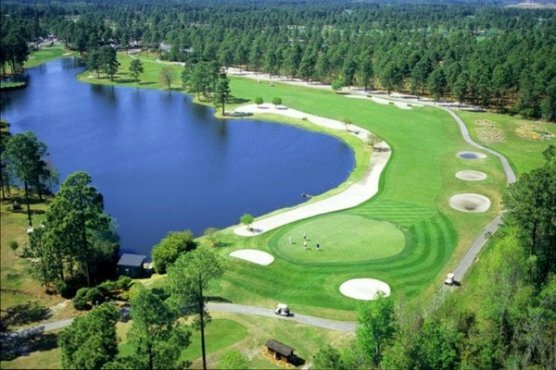 If you have a course that was in your Myrtle Beach golf package that sustained damage and is still not open, we may have to substitute a different course instead. But, give us a call and we’ll be happy to work with you to make your Myrtle Beach golf package memorable. Many courses are open, although slightly different thanks to mother nature. For example: The Surf Golf and Beach Club suffered major damage on hole #1, which was a risk-reward par 5. The hurricane spawned a tornado that ran right down this hole and took down many of the trees that you would have to worry about on your first shot. Many golfers have now said that with those trees gone, they can hit their first shot right over the corner and be on the green in 2. Other courses have lost trees as well, so be on the lookout for a new “look” around some of Myrtle Beach golf courses. There are a few courses that are currently underwater, and may have to remain closed for a period of time. Aberdeen is the one that instantly comes to mind. This course suffered major flooding last year, and it seems hasn’t escaped the wrath of mother nature this time as well. There are a few Myrtle Beach golf courses that may be a little harder to get to as well with some of the road closures, so be sure to ask about that as well. Our Myrtle Beach golf specialists will help make sure your Myrtle Beach golf package is right on par – even though Matthew decided to make an appearance during our fall golf season.